Barry Woods has been trying to get Lewandowsky’s data, inclusive of any metadata on referring blogs, since August 2012 (before anyone had even heard of Lewandowsky). Woods has made multiple requests, many of which have not even been acknowledged. Woods has expressed concern about Hoax to Eric Eich, editor of Psychological Science, who suggested that Woods submit a comment. Nonetheless, Vice Chancellor Johnson flatly and unequivocally denied data to Woods for the purpose of submitting a comment to the journal, stating that “it is not the University’s practice to accede to such requests”. I refer to your emails of the 11th and 25th March directed to Professor Maybery, which repeat a request you made by email dated the 5th September 2013 to Professor Lewandowsky (copied to numerous recipients) in which you request access to Professor Lewandowsky’s data for the purpose of submitting a comment to the Journal of Psychological Science. It is not the University’s practice to accede to such requests. It seems highly doubtful to me that it is indeed the “University’s practice” to refuse access to data to other researchers. Such a practice, if generally applied, would be a flagrant violation of the Australian Code of Conduct and would surely have come to light before now. But whether the refusal of data to other researchers is the general “practice” of the University or merely applied opportunistically in this particular case, it is a violation of the Australian Code of Conduct for Responsible Research and the “practice” should cease. This entry was written by Stephen McIntyre, posted on Mar 30, 2014 at 11:42 AM, filed under Uncategorized and tagged lewandowsky, lewandowsky data, paul johnson. Bookmark the permalink. Follow any comments here with the RSS feed for this post. Both comments and trackbacks are currently closed. Scientific research without full disclosure of methodology and data is not science at all, it’s propaganda. Having said that, I’m still not sure that the poorly conceived undergraduate level research Lewandowsky produces is worth all the fuss, but for the mainstream media’s uncritical acceptance of his absurd conclusions. I wrote back, 31 July 2012, to ask for the raw kwiksurvey data, as this should include referring domain information, this should show whether SkS had held the survey, and my concern at the time, that perhaps 2 or 3 blogs had dominated the survey responses. 5 of the blogs being quite obscure and low traffic, compared to Tamino, Deltoid (& SkS). Professor Lewandowsky did not reply to my request for the survey data with this information, this was a month prior to all the fuss following the 28th August 2012 press release. and several weeks before the first Climate Audit article about this paper. I contacted the journal reporting this apparent error and my concerns, and I was referred to the authors and UWA. I wrote formally to Prof Lewandowsky and his co-author last year, reporting the issues, a factual error and consequences on the methodology claims, and requesting the same data As of July 2012. I had no reply, and sent a polite reminder 2 weeks later, following no reply to my reminder, I asked Bristol University to confirm whether my email had been received, this brought a response from Bristol University, that Prof Lewandowsky was referring all requests to UWA.. I received no response or acknowledgment to this email either. I contacted an admin assistant to check that my email had been received, or perhaps the professor was on holiday or sabbatical. And his reply is in the article above. I will UWA next week, to reconsider. ‘multiply requests’ may be a bit of an over emphasis. I have made 4 directly, one to Prof Lewandowsky, in July 2012, then to Psychological Science (last year, 2013), then one to the All authors, copying dept heads(last year, 2013), then one to the head of the School of Psychology(this year,2014) – plus an equal number of reminders, and have you seen my previous email messages were sent. Part B of the “Australian Code of Conduct for the Responsible Practice of Research” deals with breaches of the code. I don’t understand your problem Don? As far as I can see, the degree to which the university has adhered to the code so far allows people to – very accurately – adopt an *appropriate* level of “public confidence in the research endeavour” as far as UWA is concerned. And the degree of rigor and disinterest with which the ethical policy is being applied is consistent with the rigorous and disinterested nature of the original papers. Bravo! Why not ask Paul Johnson why he has ignored the”code”. It would be interesting to find out, given that the Vice Chancellor ignored UWA’s Data Sharing policy, whether UWA would ignore its UWA Complaint Resolution Policy. They don’t seem to be keeping that Complaint Resolution Police up to date. From the sidebar at link you noted. And it looks like they never filled in the information at the bottom about to whom a complaint about a complaint should be filed. Complaints are to be submitted to the UWA Complaint Resolution Center. Nietzsche’s phrase “instinctive mistrust of devious thinking” is a fine description of true skepticism. Thanks for the quotation. Indeed, the university’s “practice” needs to be revised, demolished, with as much retrospective reach as necessary. What were the dates of your recent request for data plus metadata and the Paul Johnson response, Steve, discussed in the previous thread? I take it the reply to Barry was soon afterwards and that we have no clear idea why the VC suddenly got involved in the Woods case, except that your request being copied to him may have led him to discover this other unfinished business wrt Lewandowsky? It wouldn’t make the opportunism any better but it would be interesting to know. Lewandowsky is traveling today, en route to Perth, will arrive tomorrow. Interesting coincidence. Let Lewandowsky’s work stand for itself and release the data, if the work is of a high standard releasing the data will only further bolster his work and conclusions. The only reason you would fight hard not to release it is if you knew it was garbage, and thats the message it sends to all who see this refusal. The other reason to fight the release is to get people wasting their time and energy focusing on tangential issues. So you fight the release, people think you have something to hide, the outrage grows, speculation builds, and then you release the data which shows nothing to hide. Bottom line: you cannot conclude anything from a refusal to release data. Steve: I think that one can conclude that the university officials are being jerks and that they believe that they can ignore the policy with impunity. We know that there were fraudulent responses in the Hoax survey. It’s definitely worth examining the metadata. Nor do I think that the University can safely proclaim that the metadata shows nothing unless they’ve examined it carefully themselves from a critical perspective (which I entirely doubt.) It’s also possible that Lewandowsky deleted the metadata from the version that he left with the university. In a way that would be the worst outcome for the university since it wouldn’t settle the question and it would be a failure of governance on the part of the university in respect to a dataset that was known to be controversial as early as Sept 2012. This is always present in my mind. The time wasting has been immense throughout Steve’s involvement in the climate debate. How much one admires them for this. Mosher: Bottom line: you cannot conclude anything from a refusal to release data. The only thing you cannot conclude “definitely” is that there is something wrong as you have no evidence. I’m just suggesting that people not jump to conclusions about the refusal. As a betting man.. I’m betting the metadata will unravel the claims. I’d also bet that Dr. L can’t produce the metadata. It would be remarkable if this wasn’t true. An attitude and practice to: “to fight the release is to get people wasting their time and energy focusing on tangential issues,” is itself probably a violation of the Australian Code of Conduct – or one would at least hope. If the officers or faculty of a major university are gaming their conduct in such a way they should be shown the door, or the window, which ever is more expeditious. yes.. wait and see how it plays out. vexatious was an interesting choice of words. Steve: many academics misunderstand the word “vexatious” which (as you know) has a technical legal meaning. The academics tend to think that something is vexatious in law merely because it annoys them. we didnt send it because we didnt have it. All the more reason for readers to sit on their hands and not start some random letter writing approach. I request that readers pay attention to this observation. A seemingly coordinated letter-writing campaign can result in all the letters being considered “vexatious” in a way that may stand up legally. (That’s the legal meaning of “vexatious”.) If readers wish to write to their MPs, fine, but please stay away from the university for now. I obviously intend to follow up and will report on results to readers. Until these avenues are exhausted, I request that readers not write the UWA. So a person of high academic standing did not simply copy the data from one folder ( or computer) to a new folder and simply deleted it by accident. Please this is programing 101 you never use the actual data file but use a copy to do anything. I find it difficult to believe that someone of that standing does not know this. I don’t know about you but you never use the actual data until you know for certian that the program works. Just my two cents. “The answer to life the universe and everything is 42.” Brilliant, but I’d still like to see the working out, if you don’t mind. Speculating, but could the response “It is not the University’s practice to accede to such requests.” be justified because they see it as the author’s responsibility to provide data? Steve: no. The university has policies requiring data to be archived with and retained by the university (in case the author moves on, as has happened here. The cited codes of conduct state that research data must be made available for discussion and use by “other researchers”. Can they legally justify refusing to release data if they claim that the requester is not a “researcher” working in the same field (psychology in this case), despite the reviewers potential competence to validate or invalidate results of the study? Then regret for being upset. Steve, couple of problems with this though. I don’t think you can expect Lewandowsky to be covered by a Code of Conduct for the Responsible Practice of Research when there is no evidence that he intended to practice responsible research. Secondly, releasing the data and exposing unethical behavior is certainly an “ethical matter” and one they apparently would like to prevent to maintain the private and confidential knowledge of such unethical behavior. It goes beyond what UWA think it into what the ARC thinks about it all. These unintelligent quislings never get it despite all the glaring historical examples to teach them, that their obfuscation and cover-up becomes the much greater crime than the initial misdemeanour they’re trying to hide. When will they ever learn? “The Australian Research Council is committed to fostering the highest ethical standards in research. Projects approved for funding by the ARC may not begin without appropriate ethical clearances from the relevant committees and/or authorities. ARC-funded research should comply with the Australian Code for the Responsible Conduct of Research (the Code). Research involving humans or animals must comply with the National Health and Medical Research Council (NHMRC) codes. See also National Statement on Ethical Conduct in Human Research (2007). As I have pointed out in the previous post by Steve, the National Statement on Ethical Conduct in Human Research (originally from 2007) creates a number complicated problems for the Lew-team and the UWA. particularly guidelines 2.3.1 and 2.3.2 (dealing with deception and the participants’ right to information and withdrawal of consent) as well as 4.8. (people from other countries) present difficult ethical problems for the Lew-team and the UWA that they seem to be unaware of. Steve has been studiously non-political throughout this controversy, but it could be he’s being drawn into an ideological war between the true believers at UWA and those who are trying to verify what looks like abuse of psychological methods to ridicule and defame people who are not believers. There is obviously a cabal of people at UWA who think like Lewandowsky. They may be so far gone that they may be relishing a battle with the heretics. It’s clear they have no respect for scientific principles and the sharing of knowledge so that science and learning might progress. If everything is ideological, then there are no rules. What I find most astonishing is that the Vice-Chancellor of a University has given his imprimatur to what is clearly the degradation of intellectual discourse. Earlier I said that he may not be fully informed as to what has been going on, but this second refusal seems to discount that. Ignore the correction: it’s my birthday and I’m in the middle of a 2008 Clos Pegase Merlot. Shall we file this now under – things which did not end well – or shall we wait until it actually happens. I’m certain from the early reanalysis that the data won’t stand up to even minimal additional fact checking. I wonder if Paul Johnson is personally aware of the obvious problems, and he wants to cover up the mess to protect the status quo. It is completely dishonorable for an organization to publicly critique people by name in a Journal and then hide the data claiming that the people who were critiqued are somehow unbalanced. It’s like a dystopian psych ward movie. I don’t think Paulie get’s to determine whether anyone is “unbalanced”. That Dr. Paulie was pretty sharp on physics. May not be at all. In my industry, such behavior would be cause for a thorough audit, as well as sanctions for refusal to cooperate. Frankly they act as if they have something to hide. Australia seems to be rapidly getting tired of pretense and privilege posing as academia. “Academic freedom” does not mean “free to do what one feels like”. Keep on pushing. They are circling to protect something besides their ability to be uncooperative. If tones and attitudes of past bloggers on CA are a guide, it is reasonable to assume that most here do not see this matter purely in terms of the papers or of the players. It is about some principles of quality and professionalism. It is much bigger than the small bits of who said what to whom and why. The search for assurance about scientific quality involves reputation as well as demonstrated performance. The reputation of UWA is a large part of this discussion. If persons there are willing to play fast and loose with it, then attention needs to be drawn to them. While I still hold our universities in high regard, I can too easily see the poor quality of both the science and the professionalism, highlighted by Steve, will inevitably have a degrading effect. How much remains to be seen. I have a similar, unreported incident in train at another university, so I can write with feeling. One can suggest that this reputational-damaging conduct is happening disproportionately in climate science areas. If people within those areas decline to listen to hints from outside, as they appeared to dismiss for example the statistics note of the Wegman report, then I have little hope of good coming from that departure from customary scientific conduct. snip – blog policies discourage commenters from venting and over-editorializing e.g. against university culture. This goes far beyond the present post. Feel free to vent at other blogs, but not here. Venting quickly makes threads unreadable. My enforcement of this editorial policy is inconsistent, but it is nonetheless a blog policy. I’ve deleted several responding comments. The climate science industry has always been strange about verification and documentation. This blog site exists because of that problem. This post is evidence that even studies about peripheral issues regarding climate acquire this same problem. It is as if the AGW dysfunction can metastasize across fields of study, leaving the infected areas of study less capable of good work. Well, to be charitable, apparently the requested data is not a product of the responsible practice of research and so the FOI doesn’t qualify under the Australian code of conduct for doing responsible research. So I infer that basically Chancellor Johnson is admitting that Lewandowsky’s product is crap. Apparently this is their routine standard operating procedure (sop) for handling requests for crap, which does leave open questions about the amount of crap routinely produced by his institution or if this is just an isolated instance of crap. Perhaps the Chancellor would be happy to respond to and FOI regarding the amount of routine crap produced, assuming they keep track of their crap? Unless the survey links included a unique id for each blog, I don’t think the survey software captures referrer metadata – from what I can see, it’s not a standard field with individual records for kwiksurveys, or for surveymonkey. It may not, I was seeking evidence to prove me wrong. If it showed referring domain information from Skeptical Science for participants throughout the research period, then that would be evidence that the survey was held there. If the authors are unable to prove the survey was held at Sceptical Science, then claims based on this (audience figure, prevalence of sceptics, % of sceptics, content analysis _ which were used for the whole survey reponses) will need to be scrapped, and the paper corrected accordingly. OR, new content analysis, prevalence of sceptics and traffic figures, collected for the 7 websites that did participate. It would be a very poor bit of survey software not to collect this relevant information. Barry Woods, can you separate responses for a survey that was blogged at Skeptical Science, from ones that came from a link in the forum? Steve: the survey was never “blogged” at Skeptical Science. Lewandowsky’s claim to have linked from Skeptical Science is untrue. That’s been discussed over and over. Is that a hypothetical question? I’m aware of the discussion. Perhaps I am misunderstanding Barry Woods’s proposed research. I thought he wanted to analyze the metadata to confirm that there was no blog posting. However, if it was in the forum, in the blog, or tweeted by Cook, how could he tell the difference? Steve: There are various reasons for examining the metadata. One reason is to obtain information the referring blogs. The SKS blog posting issue pertains to that but is a very minor issue at this point, since we already know that no link was posted at SKS and that Lewandowsky’s statements on this point are untrue. >I wrote back, 31 July 2012, to ask for the raw kwiksurvey data, as this should include referring domain information, this should show whether SkS had held the survey, and my concern at the time, that perhaps 2 or 3 blogs had dominated the survey responses. 5 of the blogs being quite obscure and low traffic, compared to Tamino, Deltoid (& SkS). So if Barry says the data could prove him wrong, then in what way? Steve: at the time of Barry’s original request, Barry took Lewandowsky’s assertion that it had been posted at SKS at face value. Subsequently, it’s been proven beyond reasonable doubt that it wasn’t posted at SKS (confirmed by Tom Curtis, an SKS editor). Metadata on referring blogs would confirm this point. My interests (and Mosher’s, to some extent) are different than Barry’s. I’m interested in fraudulent responses and whether metadata can be of assistance in identifying fraudulent responses. Lewandowsky already used IP information to exclude several hundred responses. There are some responses that are fraudulent on their face, but tying them back to their metadata may show other fraudulent responses. If some number of ‘Skeptics’ responded based on a link provided in a tweet by Cook, then how could Barry achieve what he wanted. He would be ‘shown’ to be wrong, even while he is correct. Refusing to release data to other researchers, against stated policy. Hmm what could possibly go wrong with that? At the end of Planet of the Apes (1960s version), when Charlton Heston in the year 3978 was about to discover the humanity had destroyed itself in nuclear war, all the palaeo-evidence pertaining to the human past was ordered to be destroyed by the bigwig academics of the day. That way they saved themselves from the humiliation that humans were once smarter than apes. Not a bad 60s film if you like nostalgia. Think of it, academics getting rid of data? Impossible! (Actually what they were actually arguing about in the film was not all that dissimilar to the hockeystick fiasco, from memory they didn’t like the idea that there was ‘high’ intelligence in the distant past, similar to the present day-worth a look anyway). Maybe the UWA has just ‘lost’ the data (i.e. got rid of it), and so there is nothing now to access? Interesting to see what happens anyway. 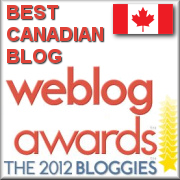 CONGRATS ON WEB BLOG AWARD, STEVE MC !!!!! Here is some free advice to Professor Johnson. “When you’re in a hole, you should stop digging”. I’m struck by the brittleness of the grimaces of these actors; it’s not risus sardonicus, nor even tetanus. Could these be spasms of terror torqued, frozen in smack jawed rigidity? And who wrote their lines, eh? Alfred Hitchcock could direct this. Not in the school, not even in the church, only in the car, a ’60 Matador tudorwagen. How do UWAs standards compare to the “highest international standards” of research at peer Universities and research organisations? I sent a response to Paul Johnson’s unsolicited email ( I had written to Prof Maybery). He has nor responded to my question why he has refused my request for the data. Thank you for your acknowledgment of the request for data (so that I may submit a commentary to Psychological Science) that I made to Professor Maybery. I was a little surprised to receive a response from yourself (instead of Professor Maybery) as I do not believe that we have corresponded before, and it is possible you may not be completely briefed on all of the issues. I believe that I have established an error in the methodology of the paper – NASA faked the moon Landings [therefore] climate science is a Hoax – Psychological Science, which impacts on a key claim of the paper. I have contacted both the journal and lead author informing them of the potential error, which I believe are the proper channels in the first instance. I have requested this data to be able to see if there is any evidence in the data that I am wrong. At the journals suggestion, I approached Professor Lewandowsky (lead author), reporting my concerns and requested this data. I believe I copied relevant (not numerous) academic parties, the co-authors, and relevant Head of Departments and academics at the universities concerned, including Professor Maybery. Professor Lewandowsky responded to me via a Bristol University representative, stating that he did this work at the University of Western Australia and that any concerns should be raised with the University of Western Australia. I subsequently wrote to Professor Mayberry for this academic request, so that I may formerly submit a commentary to be reviewed by the journal Psychological Science. Thus, I merely ‘repeated’ my request to Professor Maybery because the lead author of the paper had referred me to the University of Western Australia. Thus, I am a little surprised to receive a response from yourself and a little surprised and concerned to find that you have copied the University of Western Australia’s General Counsel on this email. May I ask why this was necessary for a purely academic request, as it might be perceived as a little intimidating. I have now advised the journal of Psychological Science that my request for this data has been refused. Please may I ask you the reasons why University of Western Australia refused my request, and to also ask if University of Western Australia will reconsider this stance. Why Johnson has rushed in to save Lewandowskys’ face is a interesting question . I am writing to you, (in your role as Head of the School of Psychology) to request the raw data for an academic paper undertaken at UWA and to bring to your attention a major factual error in the same paper. I am requesting this data so that I may better submit a comment to the journal of Psychological Science. It was my expectation that, as it was a purely factual error in the methodology, that the author and the journal would verify the factual error reported to them and then reanalyse and correct the paper accordingly. However, the authors and journal have not done this and I have been referred by both the chief editor of the journal and the lead author to contact the University of Western Australia. I identified a purely factual error in the paper over 1 year ago now, (pre-publication press release circulation) this error impacts on a number of key claims of the paper. Following the eventual publication of the paper in Psychological Science, (several months after the press release) I was able to more formally bring the errors and implications of it, to the attention of the journal in question and to the authors of the paper. The Chief Editor of Psychological Science (Prof Eric Erich) has suggested that I should submit a comment to Psychological Science. I formally reported the error to the lead author (and co-authors) in September 2013 and also requested the raw data for the paper and survey from the lead author at the same time (and had previously in July 2012). The lead author has referred me to the University of Western Australia (as he is now at Bristol University) with respect to the error and any data requests. The LOG12 methodology states that the survey was posted at the SkepticalScience website, when in fact the survey was not posted at the Skeptical Science website. The methodology of LOG12 states that the survey was posted on the website http://www.SkepticalScience.com (1 of 8 websites) This claim appears to be falsified. 3 The exact Start date/time and End date/time for the Content Analysis performed on the comments at Skeptical Science. 4 The rating criteria used by John Cook (founder of Sceptical Science) to classify the comments as sceptical or (this is not provided in the Supplementary Material for LOG12. Items 1 and 2 should quickly establish, (item 1 and 2 being archived data for the paper) the error of fact, beyond any doubt. The raw Kwik survey data would have presumably captured, the referring domain url of each participant in the survey. In my email correspondence with the lead author (appended), you will see that I noticed the missing Skeptical Science survey and requested items 1 & 2 from him, in July 2012. Items 3 and 4 will allow me to perform the same content analysis on the 7 blogs that were actually surveyed, and to submit my comment using the same methodology used in LOG12. Where I can discuss the impacts on the paper due to the non inclusion of Skeptical Science in the survey and present a new content analysis based on the actual surveyed blogs. I am sorry to have to contact you unannounced like this, my expectation has always been that the authors and journal would simply verify factual error in the methodology, and take it on themselves to correct the paper accordingly. I wrote to you about 2 weeks ago and have not yet received an acknowledgement that my email (attached) has been received. I appreciate you may have been away from your office, or perhaps the email ended up up in your email spam filter. Would it be possible for you to confirm that you have received my email and to advise me what action you will be taking. Perhaps someone should point UWA towards this as an example of how they could choose to handle the matter. UQ of course is reacting to an internal whistle-blowing – one hopes they would have reacted the same way to a query being raised from outside of the walls?